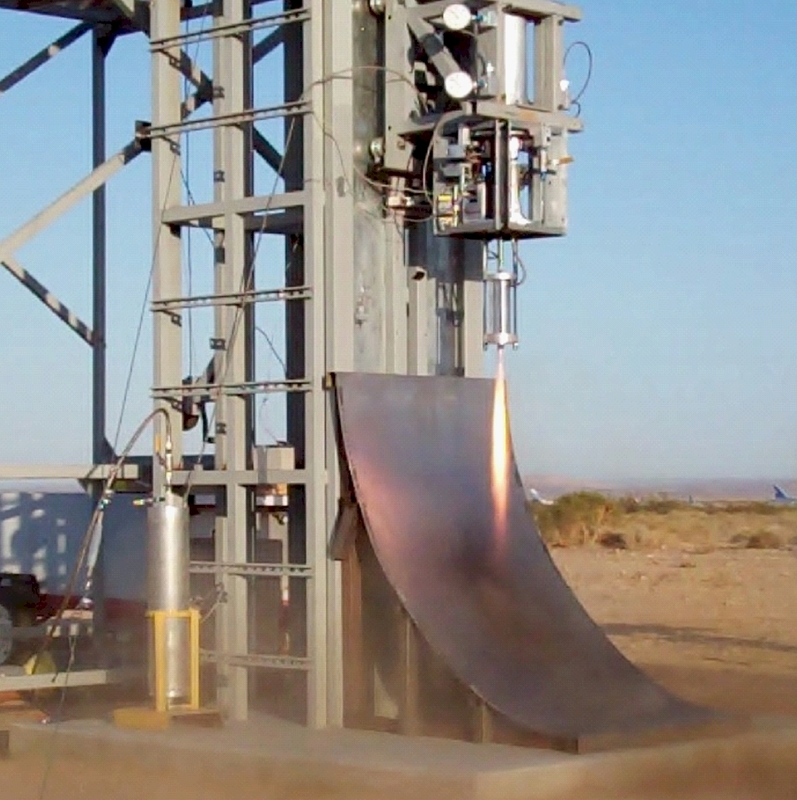 Interorbital Systems successfully tested its new Vernier thruster technology today at a test facility near the Mojave Air and Space Port in Mojave, CA. The thruster, developed and built in-house by IOS engineers, is designed to control attitude on the company's NEPTUNE series rockets. Some Common Propulsion Modules (CPMs) on NEPTUNE rockets will have four Vernier thrusters, which are gimballed to provide pitch, yaw, and roll control during powered flight. The engines are powered with storable high-density nitric acid and turpentine, the first of their kind in the United States. In addition to confirming the Vernier thruster's operation, the test verified IOS' CPM controller and guidance software. The controller acts as the electromechanical interface between the CPM and guidance software. The guidance software was specifically developed to control the launch of IOS' NEPTUNE rockets, and allows launches to be controlled from a commercially available laptop or desktop computer. The engine test also allowed IOS to test its launch crew training and ground support equipment.